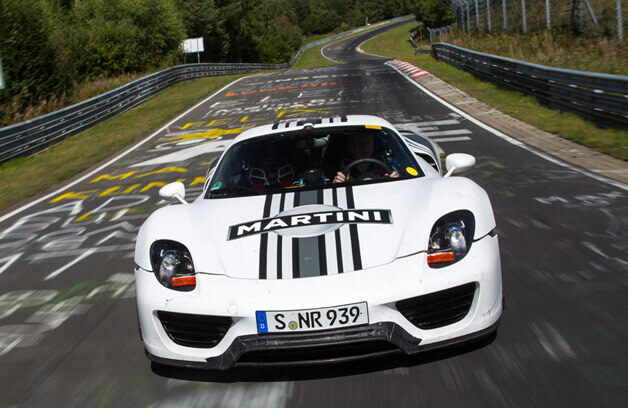 Porsche has confirmed how quickly its upcoming 918 Spyder can go around the famed Nürburgring in Germany. The 770-horsepower hybrid supercar has lapped the 'Ring in seven minutes and 14 seconds. 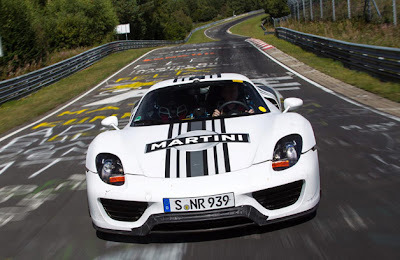 The official lap time for the 918 Spyder is among the fastest for a road legal car at the Nurburgring's northern circuit, undercutting the fastest time of its predecessor, the Carrera GT, achieved back in 2004 by some 18 seconds making it the fastest Porsche yet around the Nürburgring.